Up Sonder uses a network of FAA-certified drone pilots who are trained and experienced to fly for the oil & gas industry and have over 180,000 hours of flight experience. All pilots are vetted to ensure quality work. Depending on your request Up Sonder can help with videos, photos, mapping, surveying, and managing your worksite so you can get your project advanced to the next stage sooner and under budget. Aerial imagery is becoming the standard and an innovative solution to deliver sophisticated analytics to provide a visual progress report to management or stakeholders. Depending on the package you order, we provide high-resolution aerial photos, HD video clips, edited marketing videos or interactive panoramas of your project. Up Sonder also allows for easy file transfer between accounts for all images and videos so you can download for your own use, share with colleagues, or the public. All media is yours to own and use as you like. Up Sonder ensures a high standard of quality, quick turnaround time, and looks forward to servicing your aerial needs. Up Sonder uses state of the art drones and cameras to bring your project to life. Stunning 4K and HD video are available to highlight your project by bringing professional footage captured by FAA registered drones. Advanced sensors and processors ensure everything is captured with more image detail and the image data needed for advanced post-production. Up Sonder is a national network of professional FAA certified drone pilots with over 260,000 flight hours worth of experience in aerial photography for the residential/commercial real estate, construction, and insurance industries. 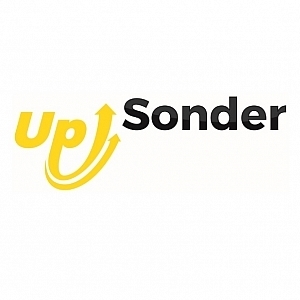 Up Sonder offers easy search, upfront pricing, and quick booking.